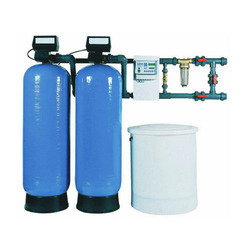 We are the biggest manufacturer & exporter of Domestic Water Softeners. 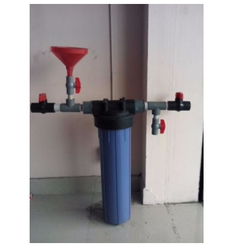 We offer these softening System on reasonable price. 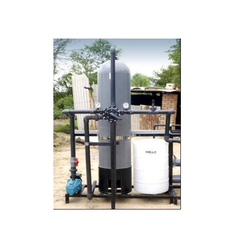 Our product range also comprises of Sewage Treatment Plant, Effluent Treatment Plant and Water Treatment Plant. Our setup is well acquainted in manufacturing a compact array of Domestic Water Softeners for our valued customers. These systems are fabricated in tandem with the needs and demands of patrons in a suitable manner. Moreover, optimum grade raw material sourced from the credible vendors is used in the fabrication of this range that can further be availed in various customized options along with their ranges in different sizes, grades and dimensions to meet divergent demands of the clients in a fruitful manner. Extremely useful for domestic applications. Easy to install in existing pipelines. Extremely compact and easy to operate. Recharge with common salt only. Easy recharge - only once every week. Our setup is well acquainted in manufacturing a compact array of Mini Softening System for our customers. These systems are fabricated in tandem with the needs and demands of patrons in a suitable manner. Moreover, optimum grade raw material sourced from the credible vendors is used in the fabrication of this range that can further be availed in various customized options along with their ranges in different sizes, grades and dimensions to meet divergent demands of the clients in a fruitful manner. Extremely easy to install for domestic application. Ideal for roof top or terrace installation. No requirement of additional electricity. Easy Recharge with common salt. Recharge Once every 7-10 days. Ideal for roof top installation. Looking for Domestic Water Softeners ?